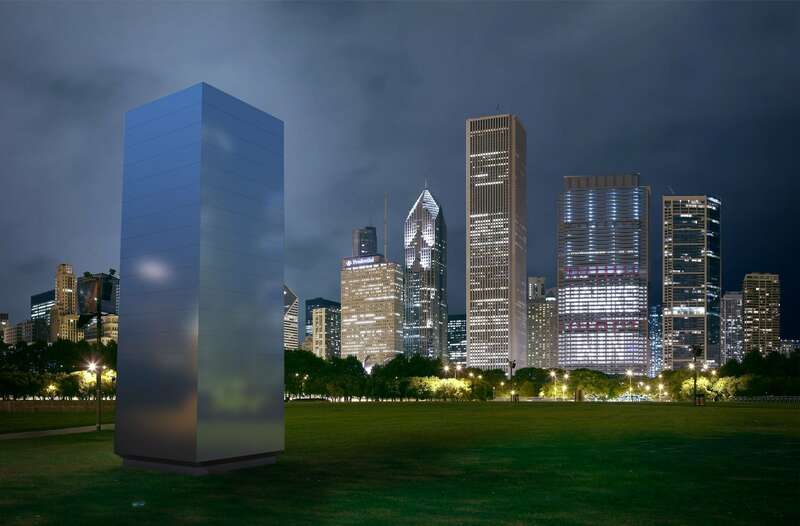 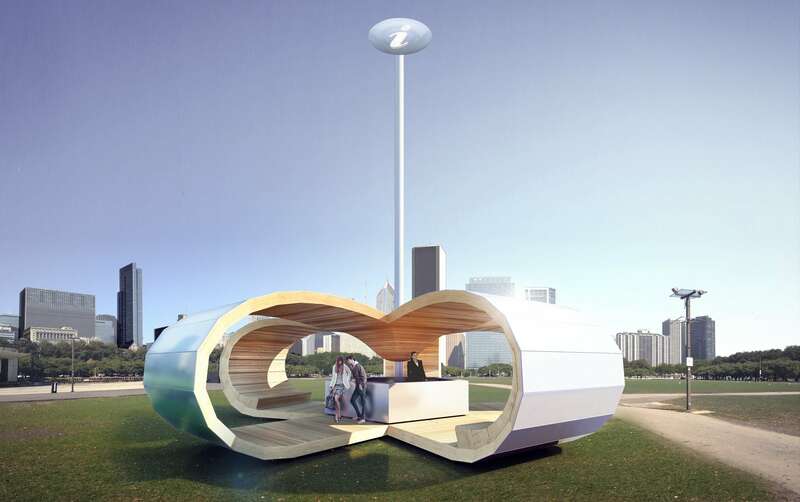 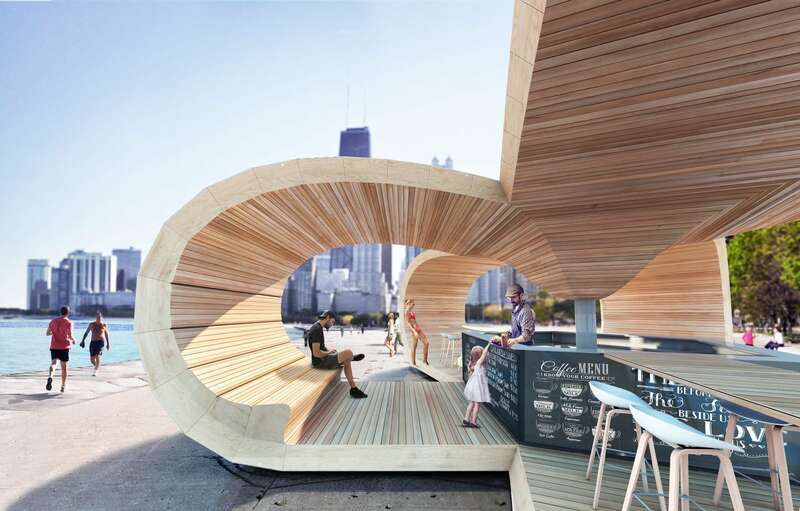 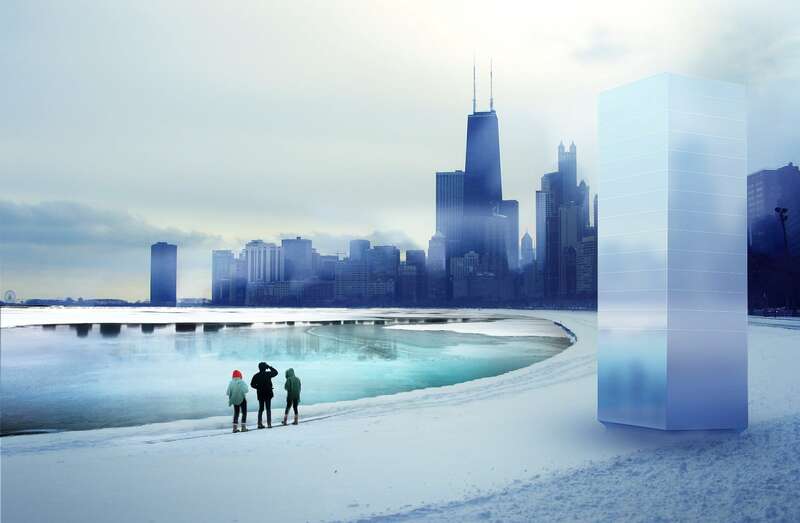 kiosk* is a kinematic and innovative temporary space that plays on the vernacular of Chicago and its Lakefront to create a highly recognisable architectural icon for visitors. 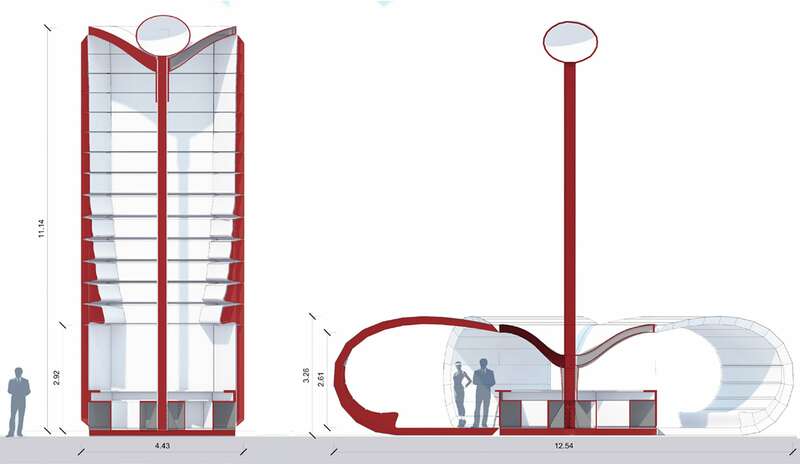 The pavilion offers a playful solution to the dichotomy between openness and enclosure, object and place, icon and space. 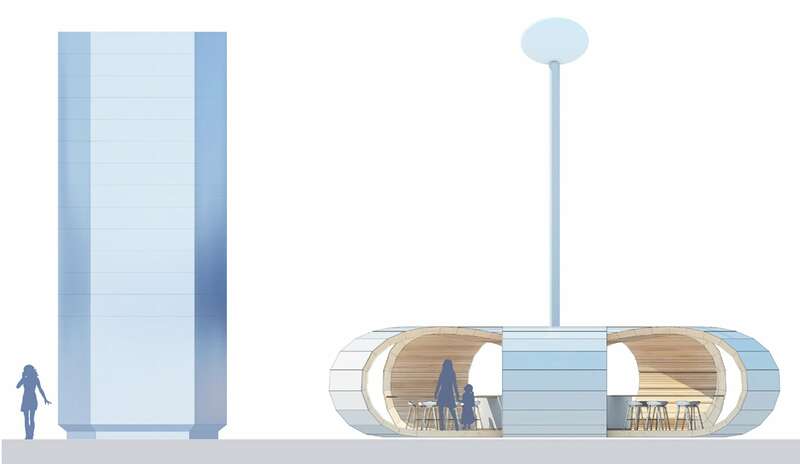 Starting as a muted monolith, kiosk* transforms itself from a dematerialised, pristine closed shape, into an inviting multi-purpose open public space by unpeeling its skin, revealing the housed programme’s signage on top. 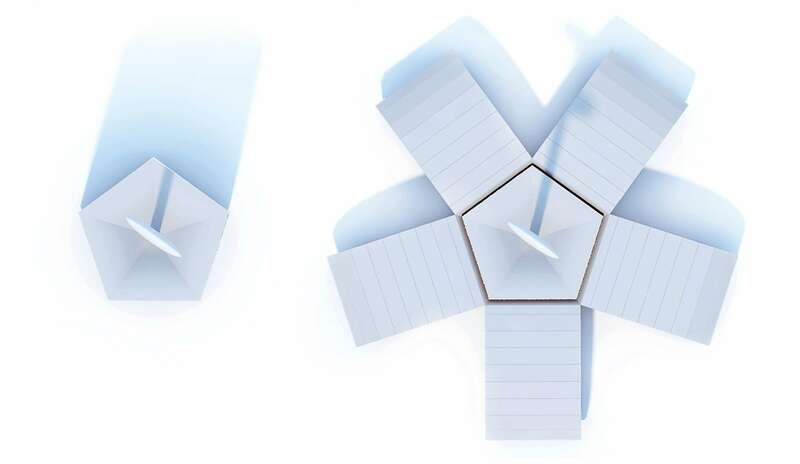 When opened fully, the five petals offer shade for a variety of possible activities specified by the merchant’s program, such as seating area, bar-counter, ordering area, bicycle storage, etc. 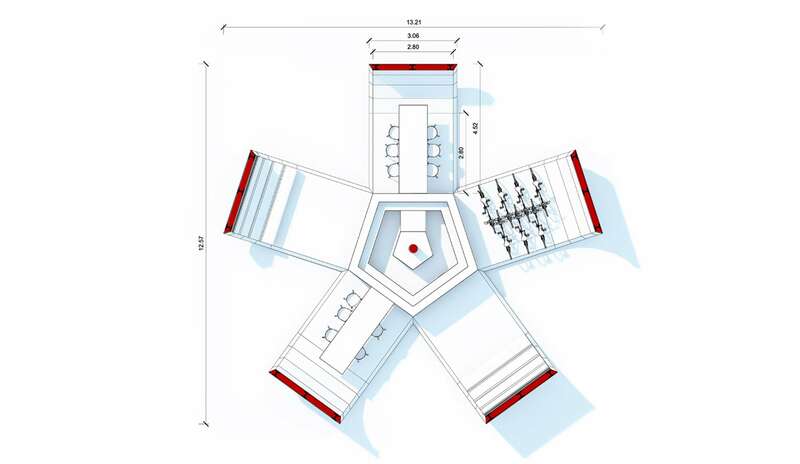 The highly versatile central serving area offers a workspace for up to two employees who have 360-degree access to clientele.